Remote work has become the preferred way to work for many people and businesses, so it makes sense that there should be a job board that caters exclusively to this market. 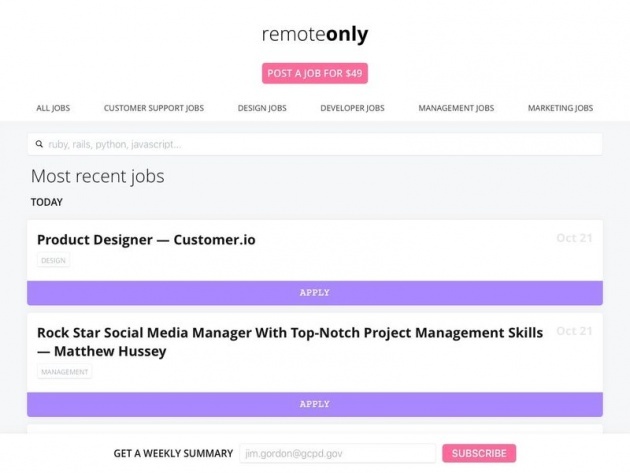 Remote Only, positioned as a manually curated job board, contains remote-work opportunities only. The platform highlights opportunities for customer support professionals, designers, developers, managers and marketers.